C# is a modern, simple, powerful, and advanced computer programming language. This article talks about what kind of applications we can build with C#. It was 1999 when C# (pronounced C sharp) was introduced to the world by Microsoft as a new futuristic programming language, I was fortunate enough to be one of the early adopters of the language. I got my hands on the C# compiler when it was released as an alpha version in Dec 1999. Yes, there used to be alpha releases at that time. It took Microsoft 3 years to get the first stable and usable version of the language. And since then, I have witnessed a newborn turn into a fully mature grownup powerful language. I wrote and shared my first C# code in 1999. Today, C# is a fully mature and powerful language. As a matter of fact, I wrote my very first article about C# in 1999 using alpha and beta products. My first articles titled Read Microsoft Access Database in C# was published on C# Corner on Jan 01, 2000. 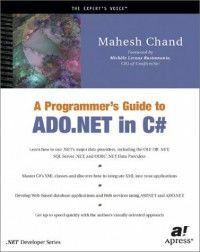 In 2001, I started writing my first book, A Programmer's Guide to ADO.NET using C# published by Apress on April 25, 2002. It took me about a year and half to finish the book. My first book was published in 2002 on ADO.NET in C#. WOW! Time flies. Can't believe it has been 19 years since I started C# programming. I know that Java, C, and C++ are the most popular programming languages but C# has gained good ground in the Microsoft world. Today, C# is one of the top 10 programming languages in the world. C# (pronounced C sharp) is a modern programming language that was created to build modern software applications for Windows, Web and mobile. C# is a much more powerful programming language than many of us may realize. Not only can you build traditional Windows Client applications and Web applications but you may also use C# to build mobile apps, Windows Store apps, and Enterprise applications. On top of that, C# is cool. Yes, you heard it right. C# is cool. Actually, C# was originally named “C cool” but due to trademark issues, it was renamed to “C sharp”. The following table summarizes the C# versions with year and features. Now let's get back to our question. What can C# do for you? Well, the answer is, a lot. I would say, nearly anything. Unless you're writing non-Microsoft platform centric code, C# can pretty much be used to write Windows clients applications, Web applications, Mobile apps, Enterprise software, backend and service-oriented applications. Figure 3 demonstrates the C# world and applications ecosystem. As you can see from Figure 3, the C# language can be used to build any and all kinds of applications. Not only Windows or Web applications but C# can be used to build mobile, Windows Store, and Enterprise applications. C# can also be used within the SQL Server database to build reports, jobs and modules to do the backend work. Here is a list of types of applications C# can develop. Interoperability software such as Office, SharePoint, SQL Server and so on. Windows client applications run on the Windows operating system as executables. Windows applications have been in existence since Microsoft introduced the Windows operating system on Nov 20, 1985. Windows applications development was the initial use of the C# programming language when Microsoft announced it in 1999 to the developer world. Today, Windows Forms and WPF are two major technologies used to develop Windows client applications. C# can also be used to write non-UI console and WPF Browser based applications. Visual Studio 2013 supports four project templates, including Windows Forms application, WPF application, Console application, and WPF Browser application. 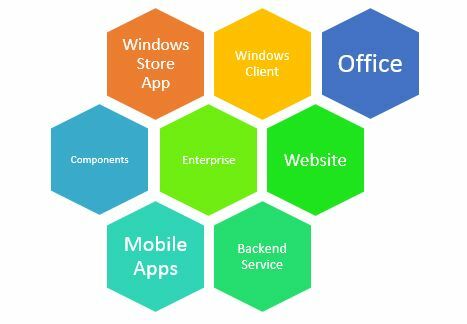 Here are some common properties of Windows applications. Windows applications run on a Microsoft Windows operating system. Windows applications are typically executables (exes) and dynamic link libraries (DLLs). Windows applications run on a PC and take all resources from the local machine. Windows applications have a user interface with Windows controls such as buttons, menus, dialogs and forms/windows. Components and controls are libraries used to build something that is easily sharable and distributable. C# is one of the most commonly used languages to build components and controls in the Microsoft world. A chart control is a perfect example of a sharable control. A GPS library is a perfect example of a library that can be built by a developer and easily distributed to other developers to be used in their applications. Visual Studio 2013 supports five project templates, including Class Library, Portable Class Library, WPF Custom Control Library, WPF User Control Library, and Windows Forms Control Library. Visual Studio supports the three major ASP.NET project templates, ASP.NET web applications, ASP.NET MVC web applications, and ASP.NET server controls. Web applications run on a Web Server. Web applications are typically hosted within an ASP.NET or HTML page. Windows applications run on the server as well as in the client browser, depending on how the code is written. If C# is used as backend coding, the C# code runs on the server and the front end HTML runs within the client browser. Web applications have a user interface with Windows controls such as buttons, text boxes, text and styles. Web applications usually have a URL, public or private. Web applications are accessed by users from outside of the physical premises of the application via a remote Internet connection and a browser. ASP.NET Core is the latest open source version of .NET. ASP.NET Core is a part of .NET Core, the next evolution of .NET Framework. Blazor (Browser, Razor, Web Assembly) is another hot Web technology that allows C# developers to write and execute C# code in Web Browser. Here is a list of tutorials on How to Get Started with Blazor Programming. Windows Services has been around since early Windows days. A Windows Service (also known as Microsoft Windows Service or Windows NT Service) is an executable application that runs on Windows operating systems. A service usually does not have a user interface, performs operations in the background and does not require any user interaction. Visual Studio comes with a Windows Service project template that is used to create a Windows Service using C# and VB.NET. Web Services were introduced to provide remote communication among devices over the Internet. The main purpose of a Web Service is to provide data accessibility and updatability remotely using the internet protocols regardless of the platform, Operating System, client browser, and application. Physically, a web service is a software application running on a Web Server that can be called by outside applications using the internet to access and write data. In the Microsoft world, the web services are developed using ASP.NET and hence called the ASP.NET Web Services. While the exposure and connectivity of a Web Service uses ASP.NET, the backend can be built using the C# language. Windows Communication Foundation (WCF) and the Web API are the latest technologies developed by Microsoft to provide remote communication. Web APIs are a modern era of Web services that allow developers to expose backend functionality to any kind of application regardless of their platform and language. Let's understand this using an example and what can be better than using our own C# Corner platform architecture shown in Figure 4. In Figure 4, we have a database server that runs services to do the backend tasks such as calculating points, sending emails, analytics and so on. Some of these backend services run as tasks on SQL Server and some are Windows services. The Web Service sits on the Web Server and talk to the database server and act as a gateway of data access and manipulation from the clients. Clients are users accessing C# Corner from their web browsers, iOS apps, and other apps. This gives you an idea of how Windows and Web Services fit in the entire C# universe. 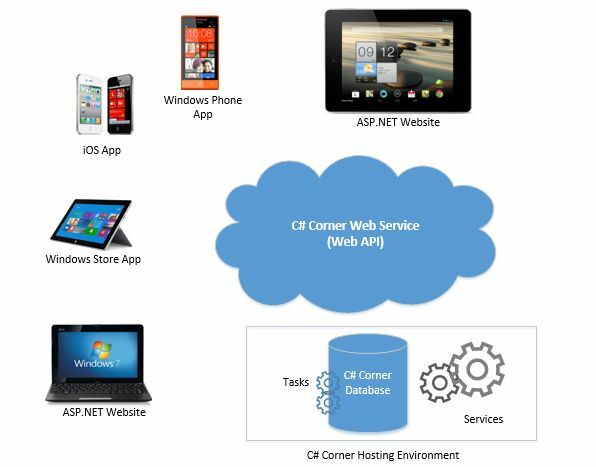 WCF and the Web API are two of the newest technologies in the Web Services space. 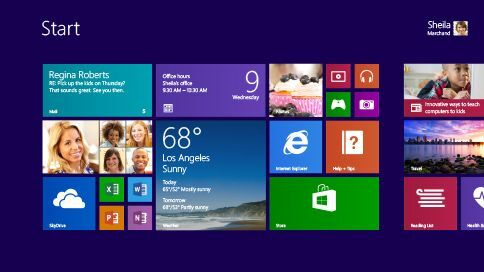 Here are some good links to learn more about Windows and Web Services. Universal Windows Platform (UWP) Apps are windows apps run on Windows 10 or later platforms. Mobile apps run on mobile devices. The Apple iOS and Google Android are two major players in the mobile app market. C# supports native mobile app development via Xamarin. Xamarin is a part of Visual Studio 2017 or later versions. Here are over 900 articles and code samples on Learn Xamarin. Visual Studio 2017 or later versions provide a complete suite of tools to build cloud based applications for Windows Azure. Windows Azure is Microsoft's operating system for cloud computing and hosting. Using Visual Studio, not only you can build Azure solutions but can also deploy and manage them. C# can also be used to work with SQL Azure, the cloud based version of Microsoft's SQL Server database server. So far, we have learned that we can build Windows, Web, Mobile, Services and Components using the C# language but the capabilities of C# does not end here. The C# language may also be used cross-applications to connect and build enterprise solutions. Some of the critical requirements of an enterprise architecture are connectivity with various types of applications to transfer data. For example, in one of my projects, I had to access data from a SQL Server database, a SharePoint database and store some in MSMQ. There was also data to be transfered from SharePoint Portal Server that was accessed by Office Excel documents and an ASP.NET Website. There was also a reporting component using Crystal Reports and CRM that stored a customer database. All the preceding can be done using the C# language. I built some adapters and used some existing .NET adapters and built the system using app pure .NET and C#. Add-ins for Office 2013 including Excel 2013, InfoPath 2013, PowerPoint 2013, Project 2013, Visio 2013, Word 2013. 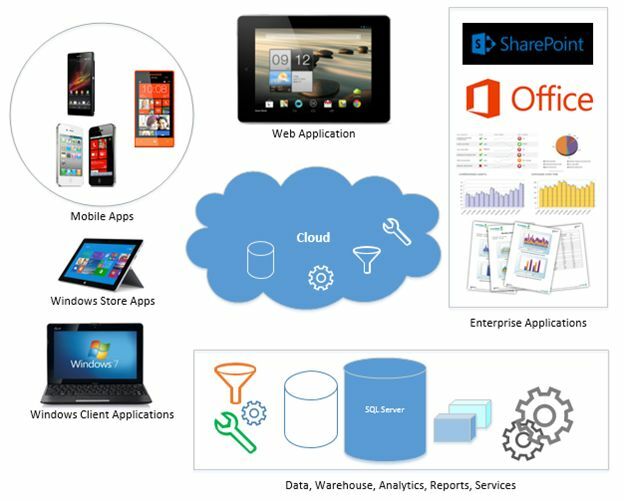 SharePoint development includes SharePoint 2013 Silverlight Web Part, SharePoint 2013 Visual Web Parts, and SharePoint 2013 Reusable Workflow. 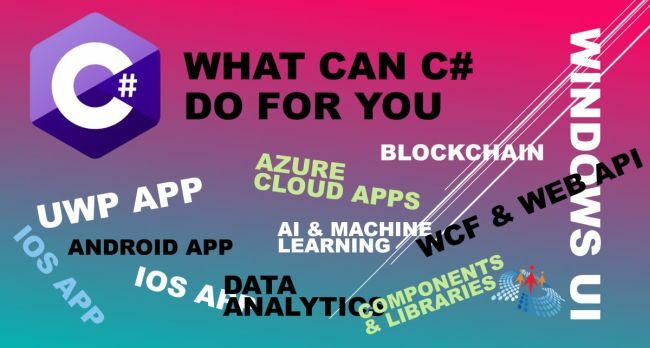 C# fully supports trending bleeding-edge technologies development such as Artificial Intelligence, Machine Learning, Blockchain, Internet of Things, and Intelligent Cloud. C# is also the primary programming language for any new Microsoft product and platform. The C# language has come a long way since it was introduced in 1999. If you have enough experience, you can build nearly any kind of application using C# and related tools. In this article, I discussed the power and flexibility of C# and its usefulness. There is not much out that can't be built using C# and its related technologies in the Microsoft world. If you are a Microsoft developer, you may already know that you can't live without C#. I hope you enjoyed it. I look forward to seeing your feedback.